As informed earlier, the Tarkhad family started worshiping Sai Baba on daily basis and on Thursday evening they used to perform the Arati collectively at their residence. Virendra's grandmother was completely at peace of mind and she was very happy that her headache had disappeared forever. She was now getting attracted more towards spiritualism. She started reading spiritual books regularly. Once she expressed her desire to Jyotindra of going on a pilgrimage to Holy Pandharpur and to take Darshan of Lord Vithoba. She went on to inform him that, the holy books suggest that before one parts with this world, one should visit Pandharpur.Jyotindra advised her to check with Baba and seek his clearance. Accordingly, during their next visit to Shirdi, she asked Baba to permit her to go to Pandharpur. Baba told her" Oh Mother for us Shirdi is our everything and there is no need” She was rather disappointed . She told Baba that Pilgrims visit Pandharpur, as they firmly believe that Lord Vithoba is stationed there and once you have his Darshan then your path to attain Moksha (salvation) is clear. She expressed to him that she has developed very strong urge to visit and perform his pooja at least once in her lifetime. 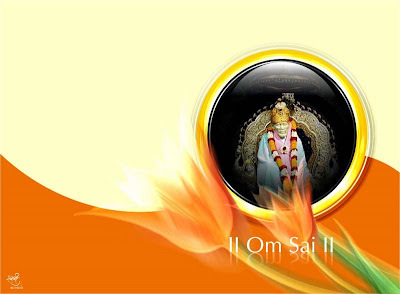 Baba knowing her desire to be genuine then declared "Oh Mother do not worry you will visit Pandharpur and fulfill your desire." On returning home they informed Babasaheb Tarkhad about that and after proper planning Jyotindra and his mother proceeded to Pandharpur. Readers will appreciate a point that as Mecca is to Muslims, Bethlehem to Catholics so is Pandharpur to Maharashtrians. On reaching there Jyotindra made all the necessary arrangements. After taking bath and breakfast when the morning rush hours were over they walked up to the Vithoba Mandir along with pooja material. On entering the sanctum sanctorum they seeked the permission to perform pooja from the priest of the Mandir. Grandmother proceeded in her own way and almost completed the pooja. Now was the time to adorn the Vithoba Murti with the garland and there was a dilemma. Grandma would want to garland with her own hands but the priest would not allow doing so, as no one is permitted to climb the platform where the Murti is situated. Grandma told Jyotindra that her pooja would remain incomplete if she were unable to garland the Murti with her own hands. Jyotindra advised her to pray to Baba and seek his help as he had granted her permission to visit Pandharpur. She closed her eyes and raised both the hands holding the garland, and requested Lord Vithoba to accept her pooja. Then came a miracle. Lo and Behold! The Murti of Lord Vithoba slided down the platform. Jyotindra instantly shook his mother bodily. He told her to open her eyes and see for herself that the Lord had responded to her prayers and now she can adorn him with her garland. She instantly placed the garland on Vithoba's neck and the Lord was back to its original place. Both mother and son prostrated in front of Lord Vithoba. On seeing this, the priest was completely astonished and flabbergasted. He jumped down from the platform and held the feet of grandmother and Jyotindra and declared that they are the Vithoba and Rakhumai and he would not allow them to go away. He pleaded pardon for his arrogant behavior. Jyotindra consoled him and told him not to have any wrong ideas about their identity. He told him that they are devotees of Shirdi Sai Baba and on getting consent from him they are visiting Pandharpur. He further told him to have strong faith in Lord Vithoba who is Jagrut (wakeful) over there and is no more a stone God. He advised him to perform his pooja from the bottom of his heart and seek his blessings in return. He then requested the priest to give them prasad so that they could leave the Mandir. They purchased Brass Idols of Vithoba -Rakhumai and placed it in their Sandalwood Mandir to offer daily worship. This experience was like receiving heavenly pleasure for both of them. Though they use to offer prayers to God very sincerely they never ever imagined that Lord Vithoba will greet them in that fashion. 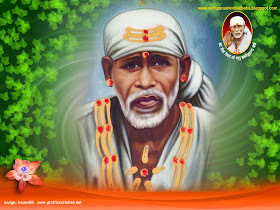 After this visit when they visited Shirdi next, Baba asked Grandmother (mother) could you meet Vithoba?" Grandmother replied "Baba this is all your making. I am now read to part with this world as I consider my life is complete now." She profusely thanked him.